Archaeologists are synonymous with artifacts. With artifacts we construct stories concerning past lives and livelihoods, yet we rarely write of deeply personal encounters or of the way the lives of objects and our lives become enmeshed. In this volume, 23 archaeologists each tell an intimate story of their experience and entanglement with an evocative artifact. Artifacts range from a New Britain obsidian tool to an abandoned Viking toy boat, the marble finger of a classical Greek statue and ordinary pottery fragments from Roman England and Polynesia. Other tales cover contemporary objects, including a toothpick, bell, door, and the blueprint for a 1970s motorcar. These creative stories are self-consciously personal; they derive from real world encounter viewed through the peculiarities and material intimacy of archaeological practice. 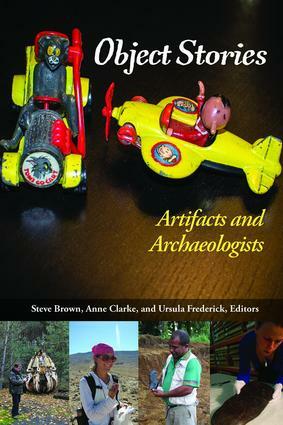 This text can be used in undergraduate and graduate courses focused on archaeological interpretation and theory, as well as on material culture and story-telling.